The Columbia, S.C. Police Chief who caused controversy last week after posting an intimidating Facebook message to a man who criticized the Department’s aggressive stance on marijuana users has apparently been at the center of more controversies than mere Facebook drama in recent months. Indeed, allegations against Chief Santiago regarding a plan to frame a city official and install himself as Police Chief is much more serious. Back in September of this year, Columbia, S.C. Police Chief Ruben Santiago found himself facing accusations that he had attempted to mastermind a conspiracy to frame Assistant City Manager Allison Baker with gun and drug charges in order to get him fired. 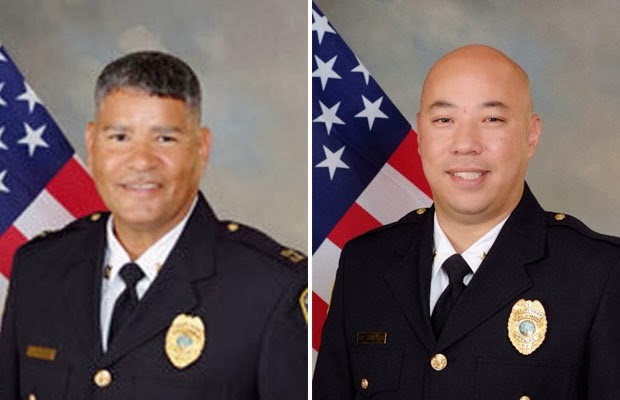 The plan, according to former CPD Captain David Navarro, was to allow then-Police Chief Randy Scott to move into his position, thus allowing Santiago to move up to the position of Police Chief. The plot, nicknamed “Black Ops,” allegedly involved planting both a stolen gun and cocaine in Baker’s car, which would then set off the chain of events resulting in Santiago’s promotion. The plan, however, was blown wide open when Captain David Navarro filed reports to both S.L.E.D. (State Law Enforcement Division) and Internal Affairs. Navarro was suspended without pay within hours of his making the reports. Captain Navarro was Commander of the Community Services Team which consisted of several other “teams” including: P.A.C.E. Team, Police Athletic League and Drug Suppression Team, Warrant Team, and a K-9 Unit. He is a 34-year Law Enforcement and military veteran and has been with the Columbia Police Department for two years. Previously, he served as Fort Jackson’s Police Chief and spent over eight years with the Richland County Sheriff’s Department as well as twenty years in the U.S. military. Navarro stated that he and Santiago had three meetings at which they discussed the “Black Ops” plan. Navarro says that, each time, he informed Santiago that he would not get involved. At each meeting, Navarro says that Santiago would check Navarro’s phone so as to ensure that the conversation was not being recorded, then tell Navarro that he was ‘just joking’ after confirming that there were no recordings being made. The plan, according to Navarro, was he would use his position as commander of the drug suppression team to gain access to a stolen gun and powder cocaine from a future crime scene. "Santiago told me the next time a case involving cocaine and a stolen gun came in, that he and I would go to the scene, take control of the scene and send the officers away," the affidavit states. "We would remove a gun and powder cocaine from that scene and he would then place those into Assistant City Manager Allison Baker's car," the affidavit continues. "Santiago said he could claim that an anonymous tip led him to direct other officers to search Allison Baker's car." "In specifics, He didn't just tell me a gun, he told me, 'Dave, it must be a stolen gun,' and he also said cocaine and I asked him that question: 'Why cocaine, chief?' Nobody will believe that Mr. Allison Baker would use crack cocaine," Navarro told WIS during an interview on Sunday. Navarro says the end result of the plan was to move then-Chief Randy Scott into Baker's position freeing up the police chief's job to be Santiago's. For his trouble, Navarro says he would be named number two in the department. Shortly after the first conversation between Navarro and Santiago, Scott left the department after a short leave of absence citing stress and PTSD. After Scott left and Santiago took the reins of the department on an interim basis, two more conversations about the "Black Ops" plan took place, Navarro says. Navarro states in his affidavit, that "Santiago stressed to me that he was going to teach me what he called 'how to play chess, trust him only.'" Navarro also states that Santiago told him that he “had Internal Affairs under his [Santiago’s] control." "There was no doubt in my mind that he [Santiago] meant what he was planning to do," said Navarro. "He meant it and he was going to carry it through if he found the right person to do it with, but Dave Navarro was not going to be the person to do that for him." "I blew the whistle on Ruben Santiago 100 percent," said Navarro. "The only reason, right now, I'm suspended without pay and have no idea why I'm being suspended for is because Ruben Santiago is trying to work another scheme as the one he was trying to work on Mr. Baker and try to figure out what can he fabricate on Dave Navarro so he can do whatever it is he's going to try to do an retaliate against Dave Navarro and his family." "I'm very angry. I'm disgusted. I'm very sick. I haven't been able to sleep, I haven't been able to eat because I'm very concerned about it," said Navarro. "I'm the main provider in my family. After 20 years of military service and then 14 years—that's 34 years of serving my country and my community. This is not the way I wanted my law enforcement career to end." The Facebook threats mark the second major media fiasco for the CPD since Santiago took over the reins of the department only months ago. As for the earlier charges leveled against him by Navarro, Santiago referred to them as both puzzling and disturbing, an ironic use of language since those are two words which Columbia residents have used to describe Santiago’s department for some time. Will Morsi Trial Ignite New Wave of Violence in Egypt?